This drive is perfect for the late spring, all summer, or in the very early fall while Trail Ridge Road remains open. We usually start from the west entrance, but the road can be enjoyed from either direction. If it’s winter, you can still easily enjoy The Library in Winter Park and Grand Lake Brewing in Grand Lake . . . both towns are worth the visit. And of course the east side of the loop is also accessible year round: Estes Park and Lyons are perfect towns to visit in conjunction with a trip to Boulder, Loveland, or Fort Collins. While the winter offers access to skiing and quintessential views of snow-capped summits, there’s nothing quite like driving across Rocky Mountain National Park and on the highest through road in the country during the summer months. Beginning in Winter Park, you’ll get a good glimpse into what a Colorado ski town has to offer. With festivals, music events, and outdoor competitions throughout the in-season summer and winter months, there’s always something happening. Add a fine variety of restaurants, and access to hundreds of miles of hiking and mountain biking trails, and you’ll discover that your time here is easily filled. The Library is one of Winter Park’s newest establishments. After a morning stroll on the Frasier River Trail, it’s a nice spot to grab pizza or a snack, alongside a homemade beer. Journeying farther north on Highway 40, you’ll travel through the towns of Frasier, Tabbernash, and Granby. All have their own mountain charm and offer views up at the stunning Continental Divide, the Indian Peaks Wilderness, and Devil’s Thumb. 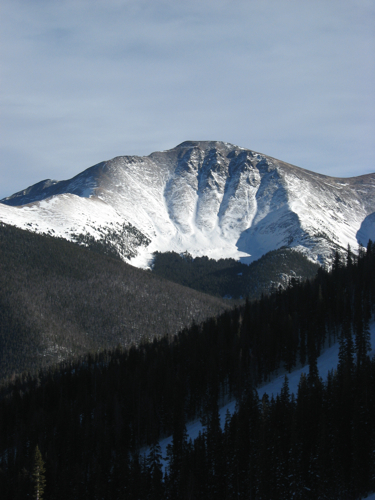 In Granby, you’ll turn west onto Highway 34 and begin the ascent towards Grand Lake and Rocky Mountain National Park. For a multi-day trip, and for some absolutely incredible scenery, continue on Highway 40 for the cherry stem up to Steamboat Springs. Stop at Hot Sulphur Springs on the way for some much deserved r and r in these boiling baths (particularly fun when there’s snow on the ground and it’s cold outside). Then venture over Rabbit Ears Pass, an uncanny and beautiful landscape. You’ll descend passed the ski resort and into the town of Steamboat Springs, where Mahogany Ridge Brewery will greet you with fine beer and delicious tapas. Steamboat is worth a day or two for hiking, skiing, or just relaxing a long way from home. 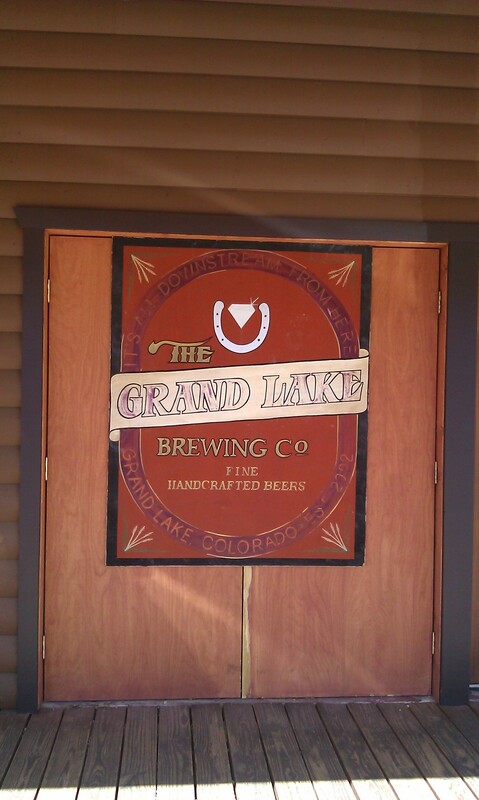 If you’re on the single day tour, you’ll pass by Grand Lake Brewing (no longer in downtown) about twelve miles west on Highway 34 from the junction in Granby. Stop into this new taproom to try a wide variety of their beer, and pick-up a six pack or a bomber to enjoy your favorite selection later on in the day. 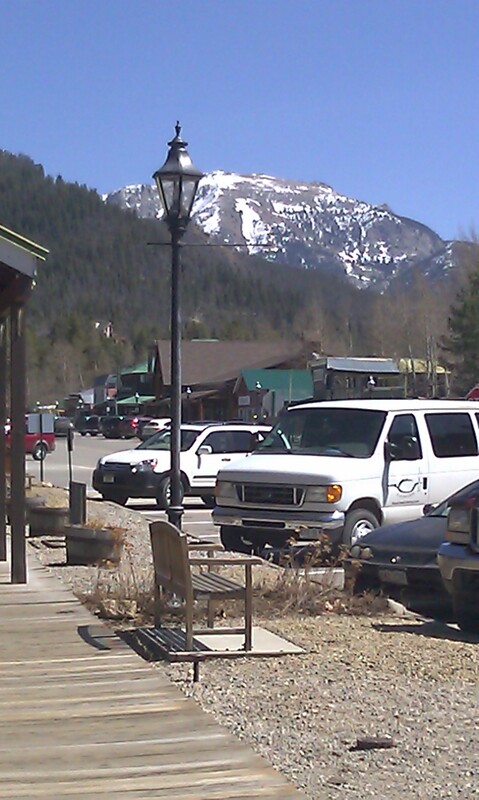 Arrive in Grand Lake a bit farther down the road, a perfect mountain town nestled right beneath the rocky peaks you’ve been admiring all day. Highway 34 continues into Rocky Mountain National Park, but Grand Lake is a lovely town to stroll through, and picking up sandwiches for a picnic at Cy’s Deli near the west entrance of town is an absolute must. This is food that you just don’t want to miss. Now take your time driving through Rocky Mountain National Park. With picturesque panoramas, the potential for elk herds and moose sitings, and ample hiking, this National Park is one of Colorado’s gems. While the beer touring has probably delayed your arrival time, we recommend camping or lodging in the area. Or making use of your Cy’s Deli picnic as a dinnertime treat with miles of mountains in view from the top of Trail Ridge Road. The descent from Trail Ridge Road is equally stunning, and several additional camping and lodging options await the traveler in Estes Park (be sure to make reservations in advance). With more time, stop in at Estes Park Brewery to try their beer (very inexpensively) and to fill a growler for around the campfire. And on your way home, the original Oskar Blues Brewing location in Lyons is a perfect place for dinner, music, and big beer. These two breweries are featured on our Peaks to Peaks drive. If you want to reach the flatlands even faster, Big Thompson Canyon is an awesome drive, and drops you off in Loveland where an abundance of breweries await your palette.